General overview on Finnish company incorporation. The company registration in Finland requires only a few straightforward steps. The laws are very encouraging to the investors who want to start a company in Finland (as an example in the north where local authorities have special interests to attract foreign investments or domestic, some facilities are granted). The company registration in Finland is governed by the Foundations Act nr. 734 from 1930 and The Finnish Companies Act from 1978 (the last one has been reformed in its entirety on 2006 and it is now modern and comprehensible). The Limited Company (osakeyhtiö-Oy) in Finland has is established by at least one member with a minimum share capital of 2500 euros (cash or assets) divided into shares which are not transferable to the public. The management is assured by at least one manager, while the major decisions are taken by the general meeting of the shareholders. A Public Limited Company (julkinen osakeyhtiö-Oyj) in Finland is designed for large business and it is founded with a minimum share capital of 80.000 EUR (cash or property) by at least one statutory person. The management is assured by a management board must composed by more than 3 members (more than 50% of them must be EEA residents) and a managing director if the capital is above 80.000 EUR. The shares of this type of entity can be listed at the Helsinki Stock Exchange. Other forms of Finnish businesses. The smallest form of business in Finland is the Private Person Carrying on Trade (yksityinen elinkeinonharjoittaja) or a private trader, where the owner is not considered a separated entity from his/her business and it is liable with its own assets for the company’s debts. The owner must pay the specific business taxes and it’s free to withhold profit. A General Partnership (avoin yhtiö-Ay) in Finland is composed by at least two members called general partners. The incorporation of this type of business doesn’t require a minimum share capital and the members are equally responsible for the debts and liabilities. The profits can be equally shared between the members. The Limited Partnership (kommandiittiyhtiö,-Ky) in Finland, is formed by least 2 partners, one of them must be the general partner with rights to decide in the name of the business and claim profits and one the silent partner which doesn’t absorb the losses but has no decisional powers and cannot claim profits. Forms of business for foreign investors. A Finnish Branch of a Foreign Company (sivuliike) it’s part of a foreign society which operates in Finland. It is not considered a separated entity and the capital is provided by the parent company. The investors can also open a representative office incorporated mostly in order to perform research activities on the Finnish market. In the beginning of company incorporation in Finland, the entity must deliver the following documents to the bank in order to open an account and receive a certificate proving that the minimum share capital was deposit: the foundation deeds, a description of the nature of the banking transactions and the company's field of business. Once deposited, the amounts of money cannot be withdrawn until the company is registered. The registration of a new business in Finland is simplified by the procedure of sending a single start-up notification to the National Board of Patents and Registration. The application must be accompanied by the articles of association, the memorandum of association, a declaration confirming that the company has been incorporated following the provisions of the Finnish Limited Liability Companies Act, a certificate of the auditors confirming the shares are respecting the provisions of the Limited Liability Companies Act and other relevant documents asked by it. The registration for the pension insurance can be made at a pension provider freely chooses by the entrepreneur and it’s the last step of the company incorporation in Finland. Company formation in Finland is preferred because it offers an industrialized economic environment, extremely competitive in manufacturing, engineering, telecommunications and electronics industries. Finland also excels in high-tech exports such as mobile phones. Also the communication network is highly developed, especially in the waterway transport (90% foreign trade is carried by sea). 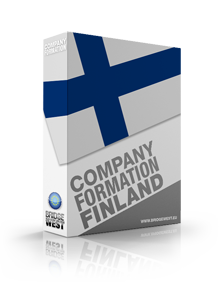 Companyformationfinland.com is a part of Bridgewest.eu, an international network which has affiliated partners throughout the world, including Finnish lawyers which can provide local legal assistance to foreign investors. Call us now at +44 203 287 0408 to set up an appointment with our lawyers in Helsinki, Finland. Alternatively you can incorporate your company without traveling to Finland. As a BridgeWest client, you will beneficiate from the joint expertize of local lawyers and international consultants. 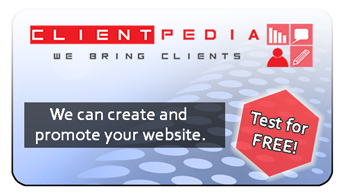 Together we will be able to offer you the specialized help you require for your business start-up in Finland. Copyright © 2011 - 2019 Company Formation Finland. All rights reserved.